If you look at the paint kit for WH40k, the miniatures look clearly Dark Angels! 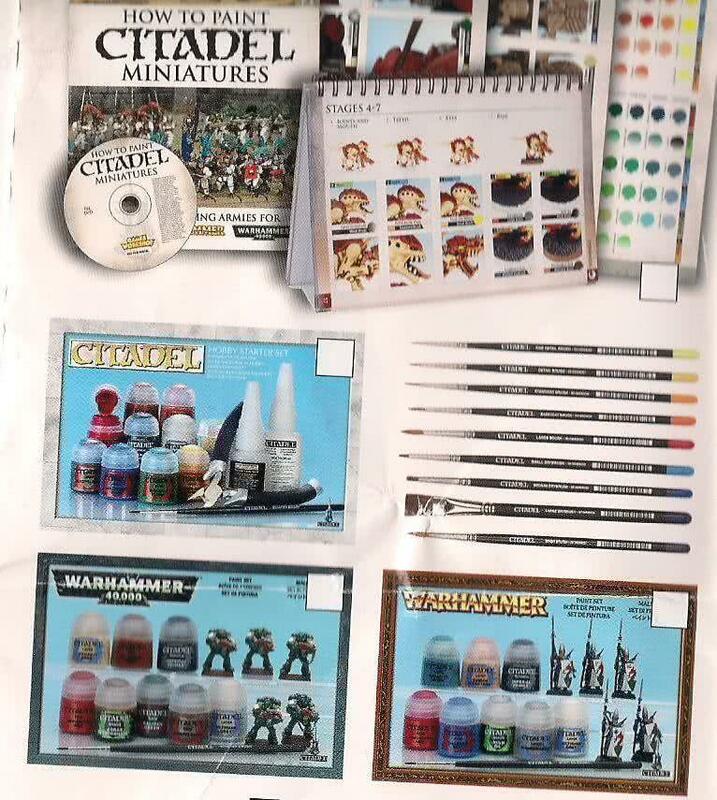 Last edition basic kit was Ultramarines (as the game box then had depicted in the cover), so changing the army to one less known (but still on the "big list") for me is a the final sign that they will come in the near new edition. I love DAs. They were my first army, I have dozens of miniatures both painted and pending painting, I've read all the books and have two codexes (2nd edition and 4/5th edition). And of course, their great Deathwing company (I have all the story in PDF), simply the best Space Hulk theme that Games Workshop has created. But I also fear the new money-based policies of GW. Even lower points cost to enforce buying more miniatures for the same points army? All new cool models done in Finecast with the huge pile of fails it has? More huge buildings that I cannot almost store at home? I don't play much, but checking my old points list (from 2nd ed) the difference is abysmal. I can simply ignore the new rules and use the 5th edition ones (as I won't ever go to a tournament). I can also simply skip buying the new buildings, as I've done in the past. But with Finecast sometimes you cannot avoid it, as new minis don't have any metal counterpart. I've suffered small bubbles and imperfections in the few Dark Eldar Finecast minis I have, and I can simply return the new ones if have defects, but I directly don't like to buy a defective material product. It's a matter of principles, I wouldn't buy a defective car or computer, so why I have to do it with miniatures?